Jason LaVeris/FilmMagic”I’m having a really, really good night.” That’s what Sam Smith said partway through Sunday night’s Grammy Awards, as he took the stage to accept his third trophy of the evening: Song of the Year, for “Stay with Me.” It wouldn’t be his last trip to the podium, though; all in all, the soulful British singer took home four out of the six Grammys he’d been nominated for: Best New Artist, Record of the Year and Song of the Year for “Stay with Me,” and Best Pop Vocal Album for In the Lonely Hour. After winning the final award of the night — Record of the Year — Sam said, “I want to thank the man this record is about — the one I fell in love with. 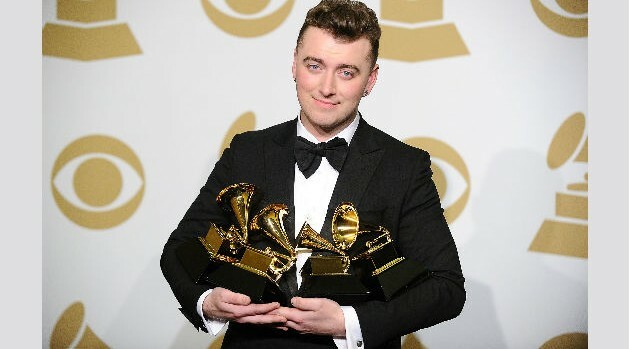 Thank you for breaking my heart, because you won me four Grammys.” In the past, Sam, who’s gay, had revealed that his album In the Lonely Hour was inspired by his unrequited love for a straight man who didn’t return his affection. Pharrell Williams, who also had six nominations going into the ceremony, won two: Best Urban Contemporary Album for G I R L, and Best Pop Solo Vocal Performance, for a live version of his smash “Happy.” He seemed absolutely stunned to win that particular award, saying he fully expected any of the other nominees to take it home. “This is super-awkward,” he added. “I’m gonna moonwalk my way off the stage right now.” Pharrell’s video for “Happy” was also named Best Music Video, but since he didn’t direct or produce it, he didn’t get the trophy. Other winners of note: Tony Bennett and Lady Gaga won Best Traditional Pop Vocal Album for their duet album Cheek to Cheek; the late Joan Rivers won her first Grammy, for Best Spoken Word performance, and Paramore won Best Rock Song for “Ain’t It Fun,” making lead singer Hayley Williams the first woman to win in that category since Alanis Morrisette in 1999. The Grammy telecast crammed 23 performances into a bit more than three-and-a-half hours, and the show opened with AC/DC, who’d never before appeared on the Grammys. Joining the veteran rock band for its performance was their former drummer, Chris Slade, back for the first time since 1994. He’d been drafted to replace the band’s current drummer, Phil Rudd, who is now estranged from the band due to some serious legal troubles last year. Other music legends who performed included Madonna, Paul McCartney, ELO, Annie Lennox, Tony Bennett, Tom Jones and, briefly, Stevie Wonder. 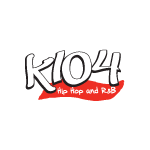 But plenty of music’s current stars were also on hand, including Ed Sheeran, Ariana Grande, Rihanna, Kanye West, Hozier, Adam Levine, Sam Smith, Miranda Lambert, Eric Church, Jessie J, Lady Gaga, Katy Perry and Sia.